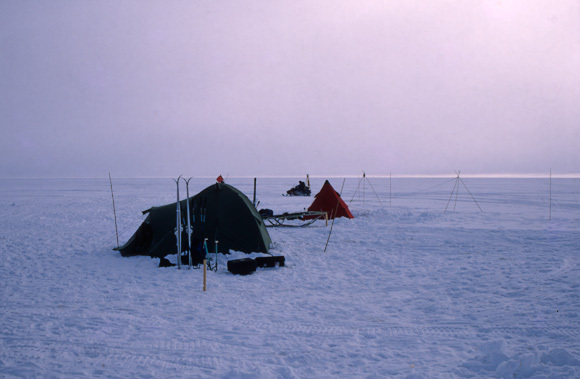 All being well, in the second part of January 2013, we will be in Antarctica. For my (far) better half, it will be the first time, overcoming the terrors of the Drake Passage to visit the far-off world of penguins and icebergs. For me, it will be a belated return after 2 trips now over 20 years ago. This time, I’ll be a tourist, with nothing to worry about other than getting a few nice holiday snaps. Of course, photography was also a fairly big deal back then, although at least for me it was more a case of muddling along under a degree of peer pressure, rather than any serious intentions. In fact I couldn’t really understand why some of my colleagues at the time aspired to being professional photographers. I suppose we all had our own interests. Naturally there were wildlife enthusiasts, and a good sampling of fanatical outdoor adventure explorer types. My deepest interest, which as far as I recall I kept pretty much to myself, was actually the history of Antarctic exploration, and the stories of people who’d tried to make a life in the region. Mainly whalers and sealers - not a terribly popular theme in the late 80s / early 90s. So anyway, I was fascinated by any trace of an old hut, of traces of camps on beaches, the stories behind names given to places, and all of this. But since actually I was there to work, all this was of secondary importance, and the ships that carried me were intent on getting me to where I needed to be and offloading me as fast as possible. Sure, there were some incredible sites, but that was more because they’re inescapable, not because they were being sought out. And the unfamiliar, heavy physical labour of helping out with offloading supplies at various bases meant that a lot of good sailing time I spent in my bunk! However, due to the vagaries of weather, planning and other people’s priorities, I did end up spending nearly 6 weeks in a small hut on a small island in the Antarctic Peninisula, on the other side of the channel where the now-obligatory tourist ship stopover, Port Lockroy, is situated. In those days, Lockroy was deserted, and sadly inaccessible from where we were “stranded”, but climbing up to the ridge I could stare att it in the distance and imagine… One fine day, though, a remarkable event did take place. A tourist ship did actually turn up, which in those days was a very rare event indeed. It was a US-registered vessel, as far as I remember called the “Society Explorer”. I don’t know who was the most surprised - us, or the ship when we called then on VHF radio. Anyway, they a zodiac over, and the three of us - Alan, a meteorologist, Clem, a veteran field assistant / cook, and myself were invited on board for a barbecue. Is was a surreal experience. I had to sing for my supper though. As the token scientist, I was invited to give a talk on glaciology to the passengers. No, there are no polar bears in Antarctica, and ice is blue because that’s the way God Planned It. Any questions ? Good. Where’s the bar ? I’m pretty sure the clientele was all in the millionaire bracket in those days. There were very few tourist ships in Antarctica. Most of the passengers seemed to be American retirees, and the ship was complete with a mini shopping mall and full of plush fittings. I could not understand how people could sit inside sipping cocktails when just a few hundred meters away there was Port Lockroy bathed in fantastic evening light. In those days I had no though of wanting to take photos. I just wanted to go there. 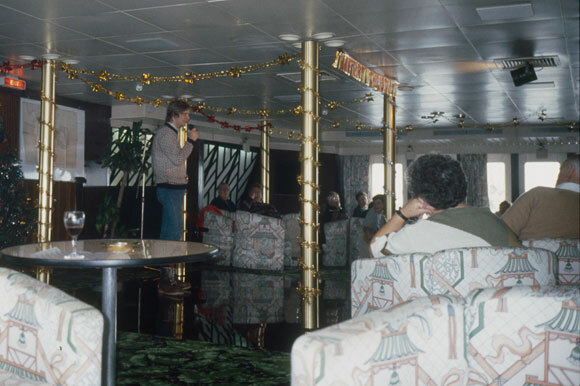 Anyway, I gave my talk, and we adjourned to the after deck where the three of us - me in particular I suspect - got very, very drunk. I still remember the aftermath back at the hut. It wasn’t pretty. But I never imagined that one day, I’d be one of those tourists. I’m in two minds about Antarctic tourism. Obviously, I can’t be against it without being hypocritical, and the increasing levels have bought cruises down to a just about affordable range, although it’s not something most people would be able to do with a decade’s worth of savings. In the past criticism of tourism from, mainly, field scientists, did seem to have at least an element of elitism about, in particular from the British establishment. But it does seem to have gone a bit too far. My second trip was totally different. I was part of a small, underfunded, slightly insane Norwegian-led independent expedition. In this case the general atmosphere was much better, and the science turned out ok as well, if not Earth-shattering. We had some problems with reliability of electronics, especially freezing LCD screens and dying batteries, but overall our approach and preliminary results gained some plaudits from the international community. Unfortunately not from my boss at the time though, the now Professor Duncan Wingham, head of NERC these days, who wasn’t very convinced of the value of fieldwork, and thought everything could be done by mathematical modeling. Probably still does. Nice enough chap, in his own way, terrifyingly clever, but more than a touch bonkers. Fieldwork. It has its uses. For the third trip, there’s not so much pressure. Just to hope for some good weather, sip some cocktails, and get a few reasonable photos. Oh, and decide what camera to take. And which lenses. And which camera bag. And…. Panic!